WHAT: We are gearing up for the 6th Annual Silent Auction with some great prizes. WHERE: At the Renaissance Hotel, Carmel, IN. Held in conjunction with the Indiana Soccer AGM. Other basket ideas and a few rules will be determined soon, along with an award for the “best” basket – not necessarily the biggest! 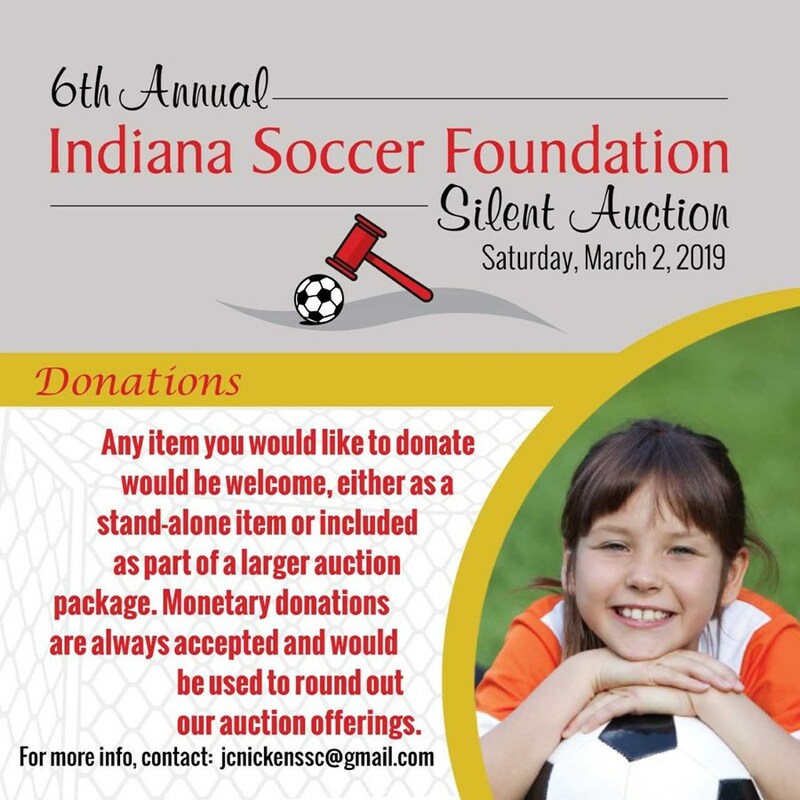 Any item that you would like to donate would be welcome, either as a stand-alone auction item or included as part of a larger package. Monetary donations are always accepted and would be used to round out our auction offering.